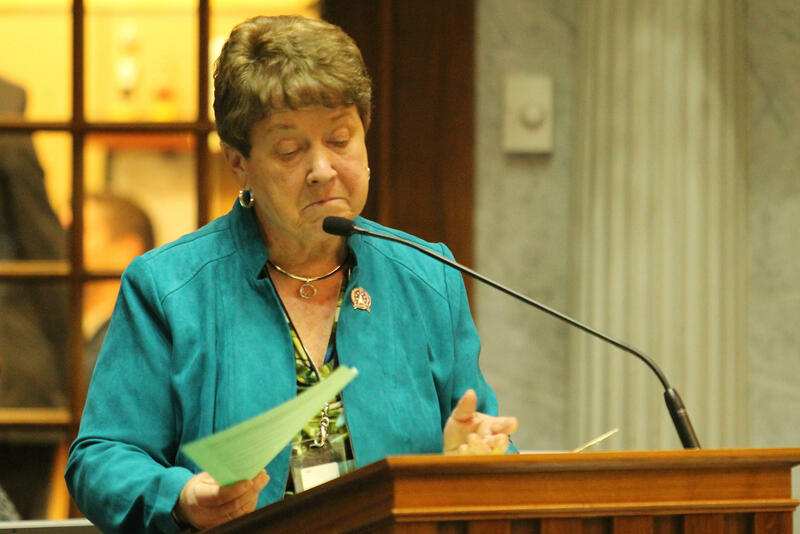 Sen. Jean Leising (R-Oldenburg) has filed a bill every legislative session since 2011 to require schools teach cursive writing, and her attempts usually find success in the Senate, but fall short in the House. This year, her bill didn’t get an initial committee hearing in the Senate and died. But ahead of a key legislative deadline, Leising offered an amendment to a multi-purpose education bill to accomplish her goal. It would require all accredited elementary schools – private, public and charter – to include cursive writing in their curriculum. The Senate Education and Career Development Committee signed off on the change, and the full Senate approved the bill it’s included on this week. The bill now goes back to the House for final consideration or more last minute changes, meaning the final form remains to be seen. And if past years are any indication of the cursive writing mandate’s fate, it likely won’t be looped into the final version. Lawmakers have said they hope to wrap up this year’s legislative session by the end of next week.